This had to be one of the best safari mornings I have ever experienced and I am so glad to have shared it with my fiancee and traveling companion, Kat. We started the morning earlier than normal. Up at 4am and in the jeeps by 5:15 to be first in the park. Our drivers knew the morning was our last best opportunity for tiger. And, the very elusive barking deer. The most amazing sighting was of a mouse deer. Rarely seen, most guides may have seen one once in 5 years, if at all. We barely had a glimpse, no time for photos, before it disappeared, back into the brush. But, then came the moment we had been waiting for! We found our first tiger. Rubbing up against a tree, this tiger is known as Munna, or Little Boy. Raised as a cub in the area and is a 10 ft male weighing over 600 lbs. The highlight of our second day in Kahna National Park, India, was an elephant ride through the jungle to continue our search for tigers. We met the Mahaud, the owner and driver, who has trained his elephants to understand an astonishing number of commands. The Mahaud uses a stick to tap the elephant and he also uses his feet to tap against the elephant’s head guiding them through the brush. We sat back-to-back to balance ourselves and headed off down a dusty path towards a watering hole known for tigers ~ about 30 minutes into the jungle. We walked up rises and steep rocky trails and eventually arrived at a popular water hole for most of the wildlife in the reserve. Unfortunately, no tigers. On the way home we made our own path through the dense jungle. And, here we discovered the most remarkable thing about our elephant friends... The elephant is trained to step on certain trees or rip them out with his trunk so they don’t hit those of us on his back and knock us off. 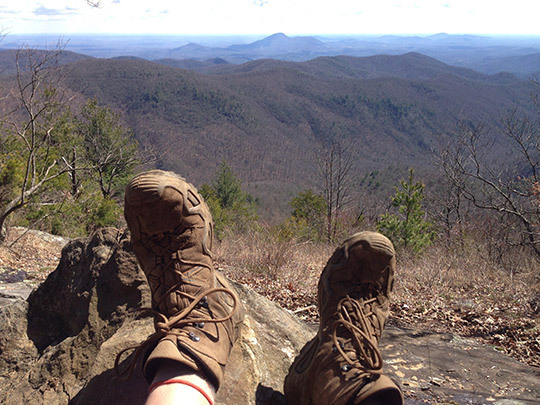 Hiking the AT right now in my LOWA Zephyrs. 3 days with 20+ mileage & no blisters. I'll probably need a couple more pairs to finish. 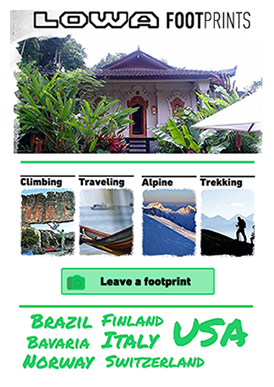 Follow my adventures on my blog, the ATLife: 2,200 Miles, From Georgia to Maine. Finally! The day has arrived to embark on our safari. We met in the lobby of the Singinawa Jungle Lodge, our home for the next 3 days. We arrived at Kahna National Park well ahead of its opening time of 6 a.m., and were the 2nd jeep into the park. 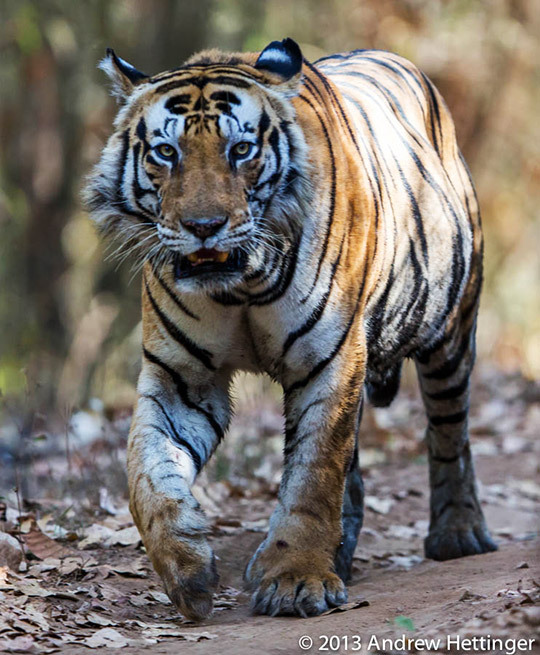 Khana is the largest National Park in Central India, and our main goal was to view tigers in their natural habitat. Given their numbers in India, we had the best park to find them, but we knew we might leave without seeing any of them. Thankfully Kahna is rich in other wildlife – our first day out we were greeted by the park’s most popular inhabitants – Spotted Deer and Common Langurs. They have an interesting relationship where monkeys - generally high in the trees - call out warning signs to the deer if they spot tigers. The deer return the favor by giving alarm calls when the monkeys are on the ground and the deer have the higher vantage point. 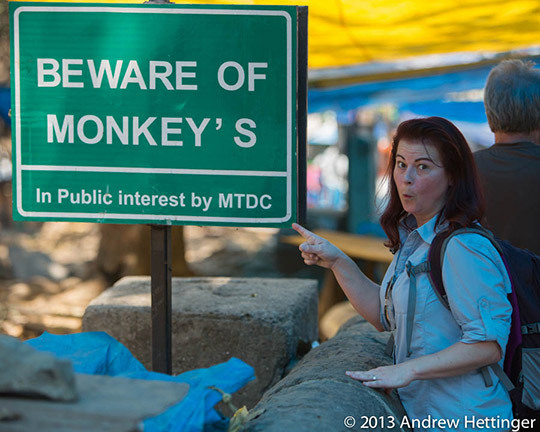 World traveler, professional photographer, and LOWA Field Ambassador, Andrew Hettinger, is off on another photo safari. This time, in the wilds of India. This is the fourth in a series of posts from the field. Andy specializes in wildlife and music photography. Click here to see more of his great work at A. Hettinger Photography. Our day started early as we boarded a plane from Mumbai to Raipur, and then hopped in a car for about 5 hours to reach the town of Mukki. Mukki is the home of Kahna National Park and Tiger Reserve, where our safari adventure will begin. We toured the village inhabited by the Baiga tribe, one of the oldest tribes in India. We strolled around their village and were able to tour one of their homes made entirely out of clay, a very efficient, natural way to keep the home cool in summer and warm in winter. 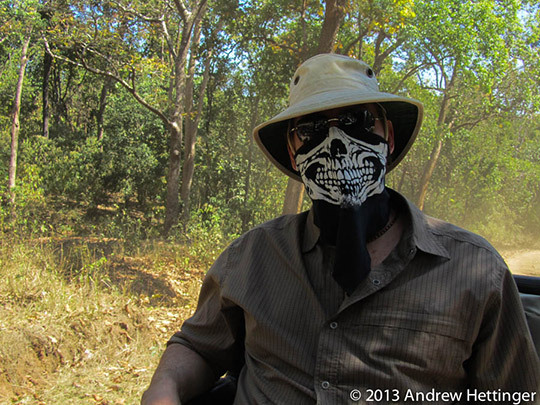 Background ~ World traveler, professional photographer, and LOWA boot lover, Andrew Hettinger is off on a photo safari. This is the third in a series of posts from the field. Visit A. Hettinger Photography by clicking here. We wait, in Mumbai, for the last two members of our team to arrive. So, we used our free time to visit a very special temple. Located off Mumbai's eastern shore is Elephanta Island, housing 6th century AD cave temples, hand-chiseled into the cliffs, high above the water. These massive caves - about 130 feet across - are supported by two dozen gigantic pillars. To visit the caves, on a cliff, on this tiny island in the Arabian Sea, there's a lot of steps involved. But we ascend the steps as comfortably as possible in 98 degree heat. As we traveled up and down the steps, we were accompanied by many Bonnett Macaques monkeys, hopeful a visitor might offer some food. Background ~ World travelers, professional photographers, and LOWA Renegade boot lovers, Kat & Andy are off on a photo safari. This is the second of their posts from the field. Visit A. Hettinger Photography by clicking here. 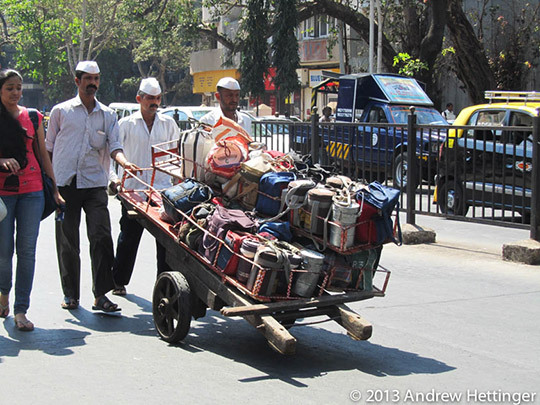 While visiting Mumbai, we witnessed the most unique service... performed by the Dabbawallahs, men who pick up about 200,000 meals from suburban homes. The Dabbawallahs pick up these meals and then deliver them, via carts and bicycles, to office workers all over the city ~ with incredible efficiency. Each meal is put into a container with codes consisting of colors and symbols that, fortunately, the Dabbawallahs understand because we saw no rhyme or reason to any of it! The codes on the containers tell the men where the meal is being delivered, and also where the container is to be returned to for the next day's service. In Mumbai, office workers travel an average of 2 hours to get to work, so it is truly a luxury to have a home-cooked meal for lunch.